Divorce has a overwhelming effect on lives whether you like it or not, especially if you have children. Decisions you making during this transition will not be easy and will involve your ex spouse. We have consulted with many people who are faced with these difficult, life changing decisions over the years, specifically in the arena of home financing and debt related matters. 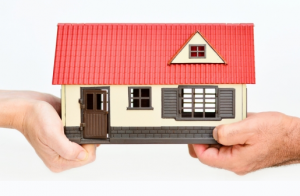 Splitting of the combined assets, especially your home can be an overwhelming aspect of divorce. We help our clients understand the process and their options in order to make the best decisions to suit their Individual needs and circumstances. Our goal is to help you through this difficult time as pain free as possible. One spouse buys the home from the other and pays them their share of equity. Mortgage pre-approvals with Canada’s leading banks and lenders. We guide you through the entire mortgage process from start to finish. Access to the government’s unique 95% Loan to Value program for separating spouses. How much equity can I access in my home? We have access to special bank programs that allow our clients to access up to 95% of the value of their home, when they are going through a legal separation or divorce. How do you determine the value of my home? Once approved, we will have your home professionally appraised by an accredited appraiser to determine the market value of your home. Can you use Child support or spousal support for income? Yes, the lenders we work with recognize that income may come from multiple sources including child support and spousal support and this income can be used to help you qualify for a mortgage. How are the services you offer different than what other brokers or what the bank offers? We are highly experienced in the mortgage industry and specifically with cases of divorce and separation and deal with major banks. We realize that this is a difficult time and are here to make the process easier for you. Simply call us and our knowledgeable and friendly team will assess your application and answer any questions you may have.